Cassandra Gaines has built her legal career in the transportation industry, so it’s apt that she has recently made big moves of her own. After spending most of her career in-house, she has packed her files and gone back into private practice. She has brought with her an abundance of practical knowledge from her various corporate roles. For a time, she was the lead in-house attorney and director of cargo security for Echo Global Logistics, one of the largest transportation brokers in the industry. And after that, as associate general counsel of risk management at Schneider National Inc., one of the nation’s largest transportation providers, she oversaw more than two hundred attorneys and was responsible for the outcome of all claims and litigation arising from the transportation of goods. 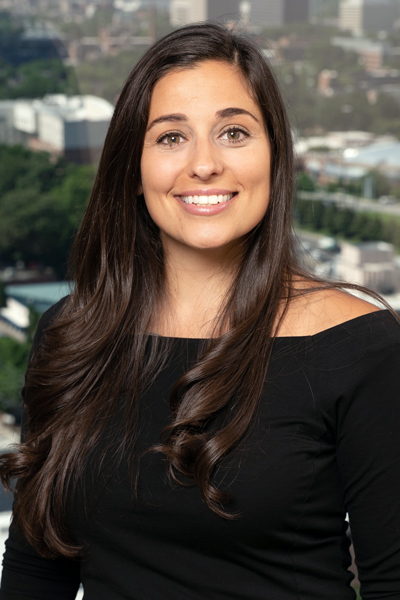 But, in 2018, she decided to go private, first as a litigator on the transportation and logistics team at the firm Smith Moore Leatherwood, then by opening her own practice, Gaines Law Group, in Atlanta. Here, she speaks on her past experience, her recent transition, and how her former and current work compare. Why did you want to leave an in-house position and return to private practice? As in-house counsel for different companies, I managed hundreds of lawsuits and outside counsel across the country. I also gained experience managing various departments engaged in risk-management activities. I love teaching and sharing my knowledge, and now that I am outside counsel, I have the ability to help many companies instead of just one. What are the key differences between in-house and private practice work? As in-house counsel, your schedule, working environment, and the substantive work is controlled by one client. As a result, your world can change in a New York minute, depending on who is leading the company. In addition, the majority of your day is spent solving problems, managing people, and being a politician. In contrast, at a law firm, the majority of your day is spent practicing law and flexing your legal skills. Also, you have more control and consistency in your work environment, the substantive legal work, and your schedule. Lastly, as a partner at a law firm, you are considered a profit center, whereas in-house you are a cost center and must constantly demonstrate your worth. What particular strengths are required for in-house work, especially at large companies? First, you must have strong emotional intelligence. Depending on your position, success arises from understanding the surrounding relationships in your work environment. In addition, you must understand your colleagues’ incentives and the impact that your advice and actions will cause. Second, you must also have strong analytical skills and strong substantive legal knowledge. Problems will quickly arise and you must be able to distill complex information, know which issues are truly urgent, understand the politics of the issues, and provide advice and make the right decisions for the company. And, you must be strong in communication. Properly articulating your legal advice in a persuasive manner is important. Your style of communication will change depending on the department and the audience you are working with in the company. What particular strengths are required in private practice? First, lawyers at a law firm are often required to retain a lot of information. They don’t have the luxury of calling another attorney and asking for legal advice. Moreover, in-house counsel will call outside counsel out of the blue and ask various legal questions that are urgent. Often, outside counsel do not have the opportunity to research and are expected to know the answer immediately. Second, outside counsel must constantly monitor time and understand where their efforts are best spent. In-house counsel often can work overtime on an issue, but outside counsel will not get paid for overworking an issue. How has your past in-house work with multibillion-dollar companies informed your approach to your private practice work? I provide cost-effective and creative solutions for my clients because of my experience. I take more time to learn about my clients’ business and try to make my clients look good and make their job easier. I am also sensitive about billing practices and understand what angers clients when they receive certain legal invoices. In your return to private practice, have you found you prefer it to being in-house? Yes. I prefer being outside counsel because I can help more than one client. I am lucky in that I have such a unique experience, which makes my law firm unique. I have not met another attorney with my level of experience, and I enjoy using that experience to improve my clients’ business and solve their legal issues. I want flexibility to provide different services and rates to my clients. Sometimes large or midsize firms have obstacles—such as office politics, certain billing practices, and mandatory-minimum rates—that prevent a lawyer from providing certain rates and unique services. I want the flexibility to offer my clients various services such as claims processing and risk-management consulting.